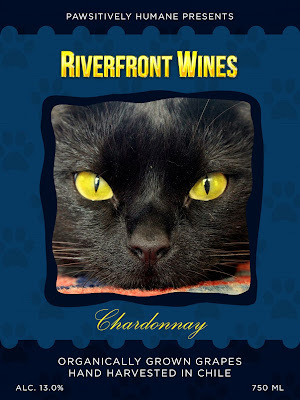 Wine Collection Benefiting Pawsitively Humane ~ Pawsitively Humane, Inc.
We love celebrations! But if you can not sing or howl like us, then celebrate any special occasion with the universal gift--a bottle of WINE! 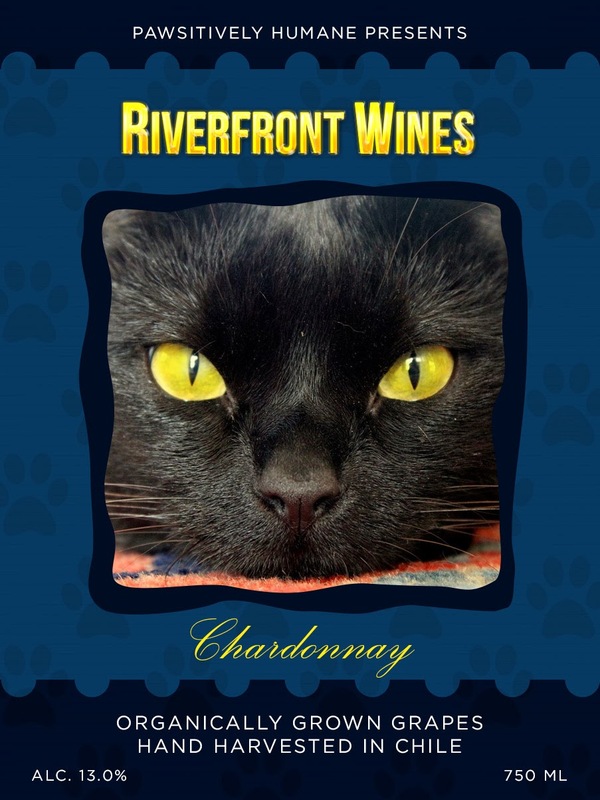 Pawsitively Humane Inc., presents Riverfront Wines collection. 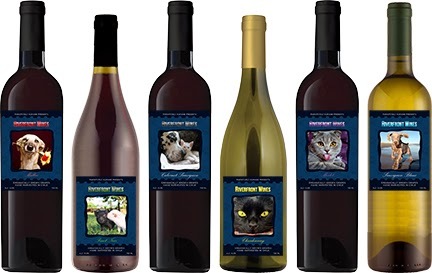 Chilean wine, white or red, all vegan, organically grown grapes and an elegant label featuring a rescued or adopted pet. Just about any animal can be a pet including cats, pigs, horses, etc. Speaking of pigs, our Pinot Noir features to micro pet pigs. Lily and Diesel. If you're bipetual, then we have the wine for you! 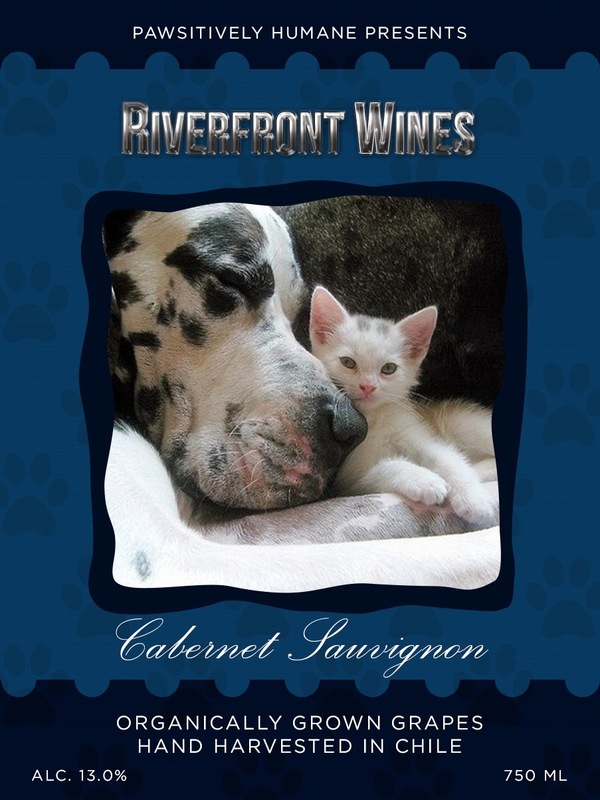 Try our Cabernet Sauvignon with this gorgeous dalmatian and his buddy the kitten. Your friends will be impressed! And the most popular pet is the black cat featuring Shalayla! Sip a chilled Chardonnay and look deep into her eyes and you'll go far, far away, leaving your worries behind. Order one bottle, or two, the sampler package (4 bottles) or the entire collection (6 bottles) and help homeless pets. Each bottle is only $19.99 and $6 goes to our nonprofit to help homeless pets! CLICK HERE to order your special bottle of wine and spread the cheer! I ordered a bottle for my sister-in-law! Yeah! Did you see the collection here for PH? The Cabernet Sauvignon with a dalmatian and kitten label? 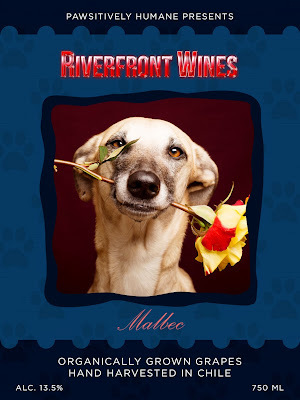 Oh and the Malbec--that dog with a rose in the mouth is so cute I want to sip him! 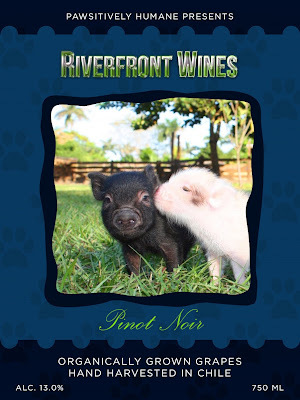 And we have mini pigs featured too! Equal opportunity pet lovers here.